This MP3 file is from the album There came a wind like a bugle : chamber music / by Nigel Butterley. Duration: 12 mins, 50 sec. Recorded/performed at: Concert Hall, Newcastle University Conservatorium of Music, on 25 Jul 92. The child -- The bird -- Brown Jack -- Spider's web -- The cricket -- The wind and the song -- A dark glow about me. Score: Child in nature : for soprano and piano / music by Nigel Butterley ; words by Robin Gurr. 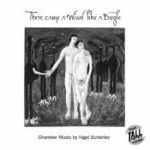 CD: There came a wind like a bugle : chamber music / by Nigel Butterley. 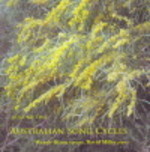 - Book: Nigel Butterley's vocal music : a study of stylistic development / by Catherine Flaherty.